One of the challenges that many parents face is getting their children to read. We may even remember being reluctant to spend time reading when we were young, especially when the weather was nice or summer was here. Reading, comprehension, and retention are all crucial components of a well-rounded person, vital in everything from school to work to leisure activities. 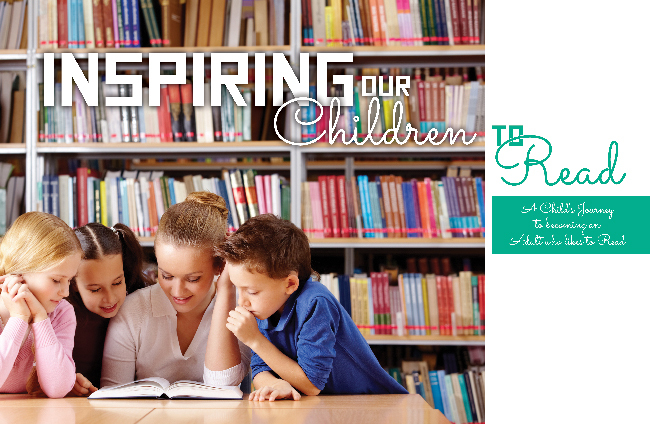 As parents, we want our children to not only read, but to be inspired to do so. The enjoyment of reading is a gift that pays off in countless ways. As children or young adults, the importance of reading has been relentlessly stressed to us. The thing that is often missing is the development of a desire to pick up a book on your own and delve into the worlds of knowledge and adventure hidden within. It is not enough simply to encourage our children to read, to discipline when it seems the effort is not there, or to reward good reading scores from school. The challenge is this: How do we help develop the love of reading in our children? Not just to read at the proper level with sufficient understanding, but how do we share the love of the written word? What must we do to help our children understand how vital reading truly is to their personal success, and also to help them come to love it? We teach this lesson in the same way we teach our children many things – we demonstrate it. 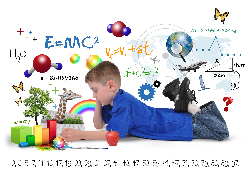 A fundamental way that children learn and develop is by modeling behavior. By observation and imitation, our children learn to walk, to talk, and to interact in social situations. It is common to see children imitating adult behavior, from working in the yard with plastic tools to pretending to cook in play kitchens. They explore various roles and behaviors for themselves, learning and growing as they play. The natural learning mechanism of modeling can be used by parents to help nurture children in many areas, including reading. Just as we model for our children proper behavior, healthy eating, and how to care for themselves and their toys, we also need to model reading. 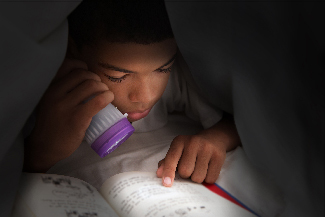 Bedtime stories are one of the earliest ways that parents introduce reading to their children. From an early age, they learn to enjoy books with Mom and Dad. Later, as they mature, reading with them and allowing them to read to you will take the place of those bedtime stories. In addition, our children need to see that books are important in our lives. Sometimes they need to see us reading instead of watching TV, or hear us talking about a book we enjoyed. 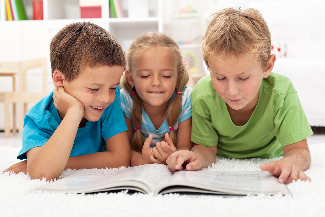 If our kids only see us watching TV, then inspiring them to read may be an uphill battle. When I was growing up, my mother spent enormous amounts of time in her favorite armchair in our living room, sitting with a glass of iced tea and reading a book. By the time I was in the second grade, there I was, sitting on the couch with some juice, reading a book. As most children do, I loved my mother, and I wanted to be with her, doing what she was doing, as much as I could. So we sat in the living room on the weekends and in the evening, and we read together. She with her book, and I with mine. We read. My own children do this today. They have grown up watching me read. We take weekend trips to the bookstore — not just for the kids to pick out a book, but I am there looking and buying books for myself with just as much excitement (if not more) than they. We sit in the living room together, and we read. I don’t send them to get books and invite them to join me. Rather, I look up from a chapter, and my kids will be around me, lounging on the floor or the couch, reading right alongside me. Of course, we do many other things together, but reading has always been a central part of our relationship. Being serious about reading is a choice. If we, as parents, intend to teach our children to embrace the fundamentals of reading as well as to develop a love and enjoyment of books, then we have to up our game as mentors and role models. We can’t just talk about it or do it with them from time to time. We need to model the behavior for our sons and daughters. Our children need to see us reading, and enjoying our time in books, and then they, too, will want to see what lies between the covers of those marvelous volumes on the shelves.